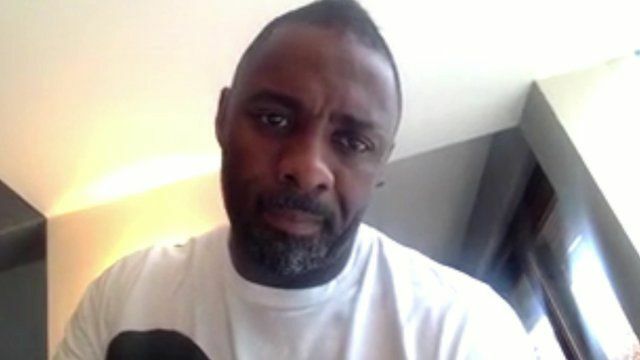 Elba 'using celebrity' to help Ebola Jump to media player Actor Idris Elba has launched a public awareness campaign to try to halt the spread of Ebola. Why is Ebola so hard to beat? Jump to media player The BBC's Andrew Harding has been to a village outside Sierra Leone's capital, Freetown, and found some clues as to why the Ebola outbreak has been so hard to beat. Is Sierra Leone losing against Ebola? Jump to media player A year ago Ebola claimed its first victims in West Africa. Since then around 6,928 people have died and thousands more have been infected. 'A country under siege from Ebola' Jump to media player Alexander Kumar, Theresa Jones, and John Wright are British volunteers working in Liberia and Sierra Leone with people affected by Ebola and they have created a video diary. Idris Elba gets Inspiration Award Jump to media player Idris Elba says he "never thought I'd see a Mobo" after being this year's Mobo Inspiration Award winner. Actor Idris Elba has launched a public awareness campaign to try to halt the spread of Ebola. The Africa United campaign is using football to try and get the message out. He spoke to BBC News. Go to next video: Why is Ebola so hard to beat?